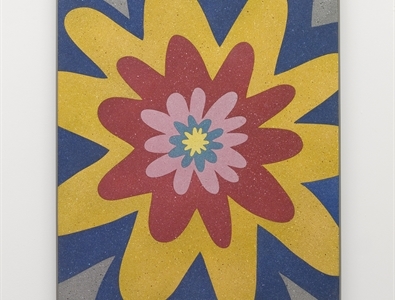 Seventeen will exhibit a solo presentation of new works by Rhys Coren. 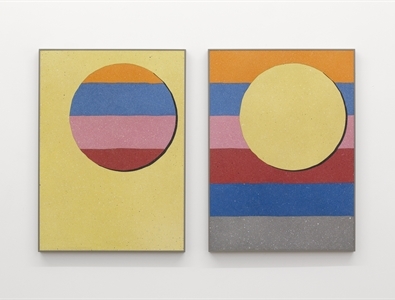 Coren works across animation, writing, performance and painted marquetry; each media displaying an obvious pleasure in rhythm, form, colour and texture, space and negative space. 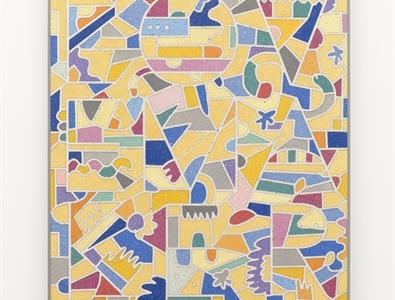 The wall works contain cartoon-like clouds broken by grids of colour and texture, raking perspectives, drop shadows and the interplay of frenetic lines. Coren describes the direct link between his experience of music and the visual language of his practice, crediting the structure and strategies found in electronic dance music, jazz and disco as the genesis of the works.